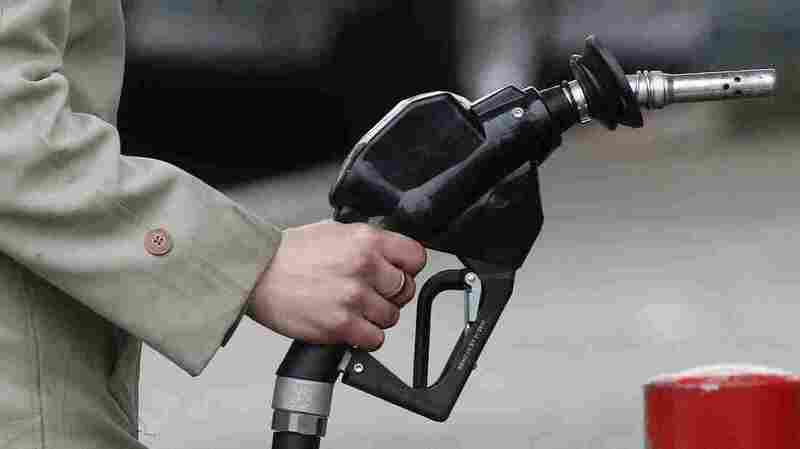 Oregonians Aren't Pumped About New Law Allowing Self-Service Gas Stations A new law took effect this week allowing drivers in certain rural Oregon counties to pump their own gas. For decades, the state has required an attendant to pump gas for drivers. A filling station attendant pumps gas in Portland, Ore., in 2012. A new law took effect this week allowing motorists in some rural counties in Oregon to pump their own gas. Many Oregonians were outraged this week when a new law took effect allowing motorists in rural counties to pump their own gas, representing a shift in the state's decades-long history of requiring an attendant to pump gas for drivers. It makes sense for these rural counties to allow self-service because there are so few motorists on the road, especially at night, Lizzy Acker, a reporter for The Oregonian, tells Here & Now's Meghna Chakrabarti. "We're talking about really rural counties," she says. "If you live in one of these places, it doesn't make sense to have someone working at a gas station all night when there might not be anyone showing up." While many respondents claimed they were joking, the sarcasm was lost on many who criticized Oregonians for not wanting to or not knowing how to pump their own gas. "Man. It's like those people in infomercials who can't perform menial tasks," one man wrote on the Facebook post. " 'Do you have trouble pumping your own gas?' *guy grabs pump handle and sprays himself in the face* 'Then do we have a state for YOU!' "
Proponents of the bill argue it won't cost the state jobs because stations with convenience stores are still required to employ attendants during business hours. Only a handful of gas station owners surveyed by The Bend Bulletin said they plan to offer self-service. Many owners said they would have to install new pumps in order to allow it. "I think that we are getting tarnished in social media," Acker says, "and I think most Oregonians are self-sufficient enough to figure out how to pump their own gas." Luckily, most of them won't have to learn.